This week we’re sharing some of our favorite quick-and-easy projects for decorating and giving, ornaments! Holiday ornaments are so versatile; they can be used to decorate a tree or hang in any other place in your home, they can be used to decorate gift packages, given as simple gifts, and even attached to a string or strip of fabric to become decorative holiday garland. Decorate these simple tree ornaments with snips and scraps from your sewing room – buttons, ribbons and trimmings, sequins, hand embroidery stitches, or maybe even add a special bit of machine embroidery. 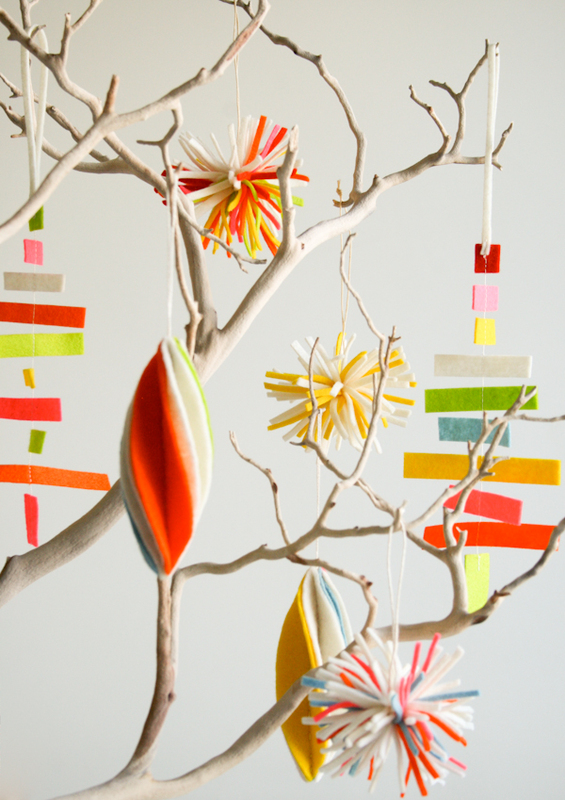 Get the Christmas Tree Ornaments How-To from Bugs and Fishes. 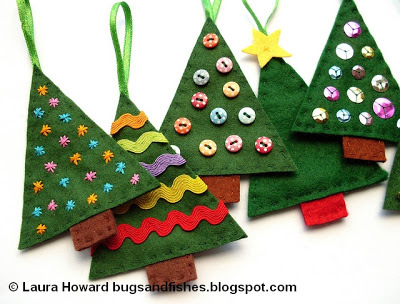 Use colorful felt to make a trio of crafty Christmas ornaments. Get the instructions for making any one of the Trio of Felt Ornaments from The Purl Bee. Make traditionally inspired ornaments with this Felt Christmas Ornament Tutorial from My Fantastic Toys. We’re thinking these would not only be lovely on any tree, but would make a lovely garland, too! 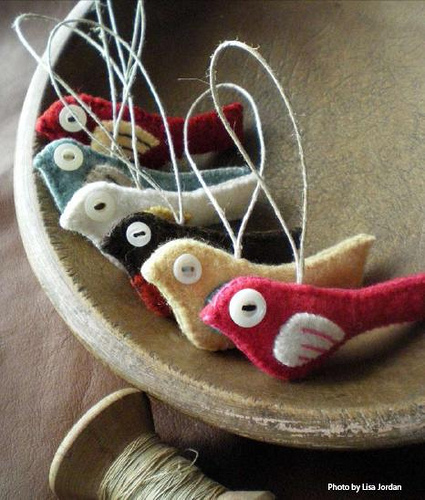 These little birdies add a bit of winter wonderful to any tree! Add several birds on a string to make a garland for decorating anywhere in the home, or add a little bird as an extra touch to a wrapped gift. Get the Little Birds Garland or Ornament pattern and tutorial from Stumbles & Stitches. 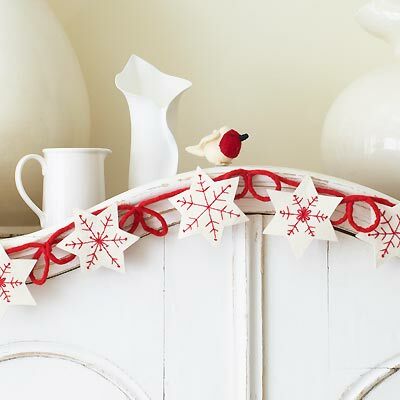 Make a cheerful red and white snowflake garland to decorate your home with the free Sew a felt snowflake Christmas garland pattern from AllAboutYou.com. Make a happy holiday fabric garland in the colors of your celebration! Use blue and white in celebration of Hanukkah; black, red and green to decorate for Kwanzaa; or red, green, and gold or white in celebration of Christmas. 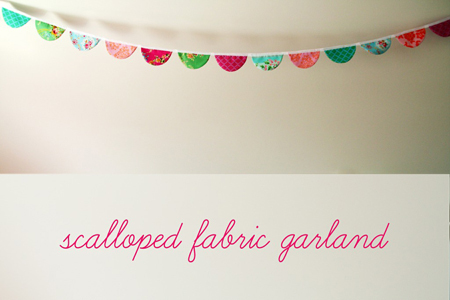 Get the Scalloped Fabric Garland tutorial from Sew, Mama, Sew!. Folded fabrics combine to make a fabulous origami ornament. 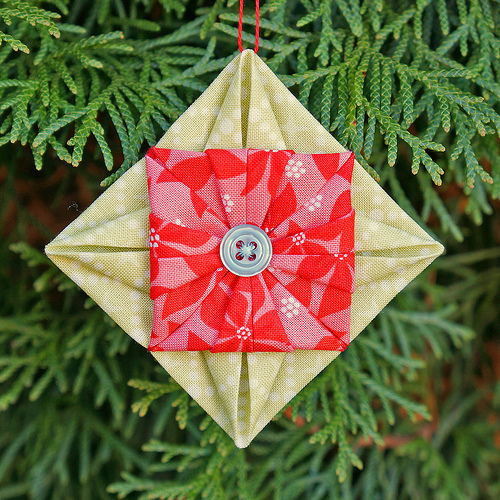 Get the Fabric Origami Ornament Tutorial from Merit at Sew, Love, Live. These little gnomes are so happy to help you celebrate! 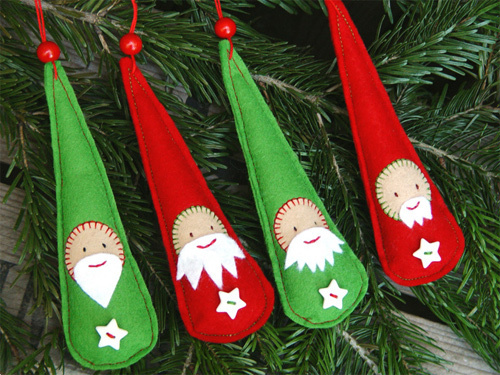 Get the free pattern and tutorial for these Last Minute Christmas Ornament from Let’s Sew It! What could be more adorable than a miniature fabric Christmas tree ornament? 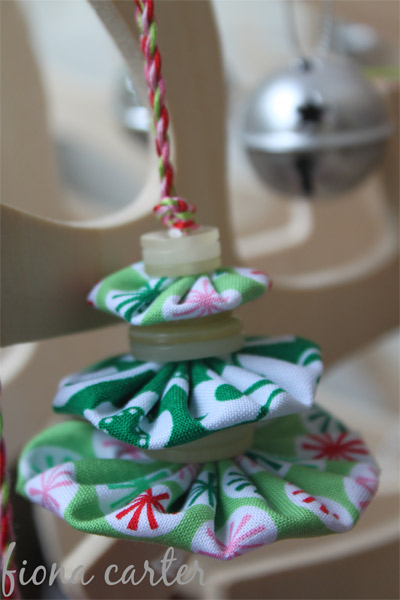 Make your own with Fiona Carter’s Fabric Yo-Yo Christmas Tree Ornament tutorial. Not sure how to make a fabric yo-yo? 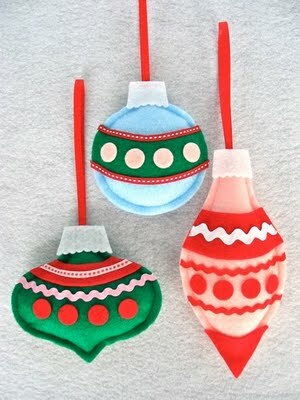 Visit Heather Bailey’s awesome How to Make a Yo-Yo tutorial and start making ornaments!